If you love the holidays, and the color purple, this is the personalized Christmas decor for you. 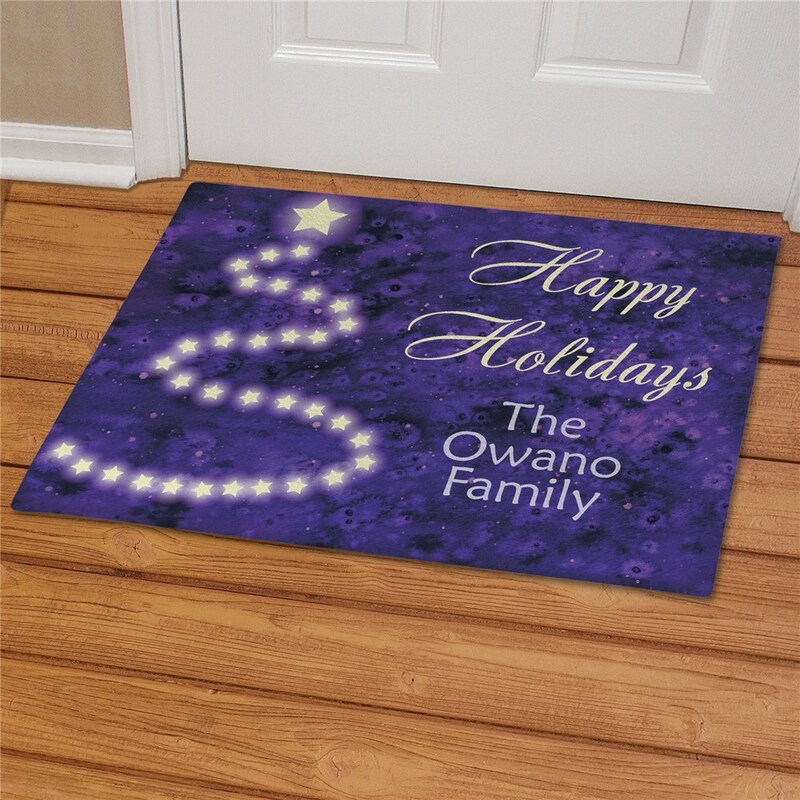 Our festive and vibrant purple Christmas Personalized Doormats features a shimmering Christmas tree and the words, Happy Holidays, along with any three-line personal message (up to 20 characters per line). 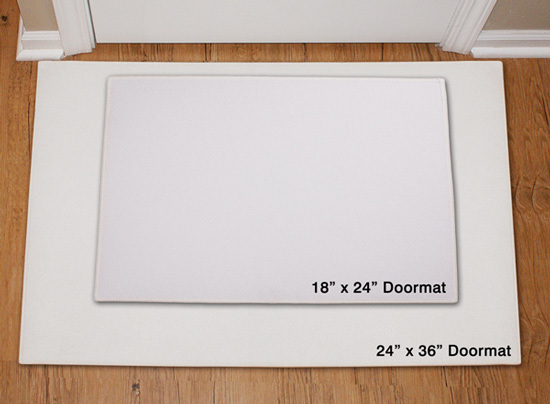 Our personalized Christmas tree Custom Doormats come in two great sizes and is safe to use indoors and out. 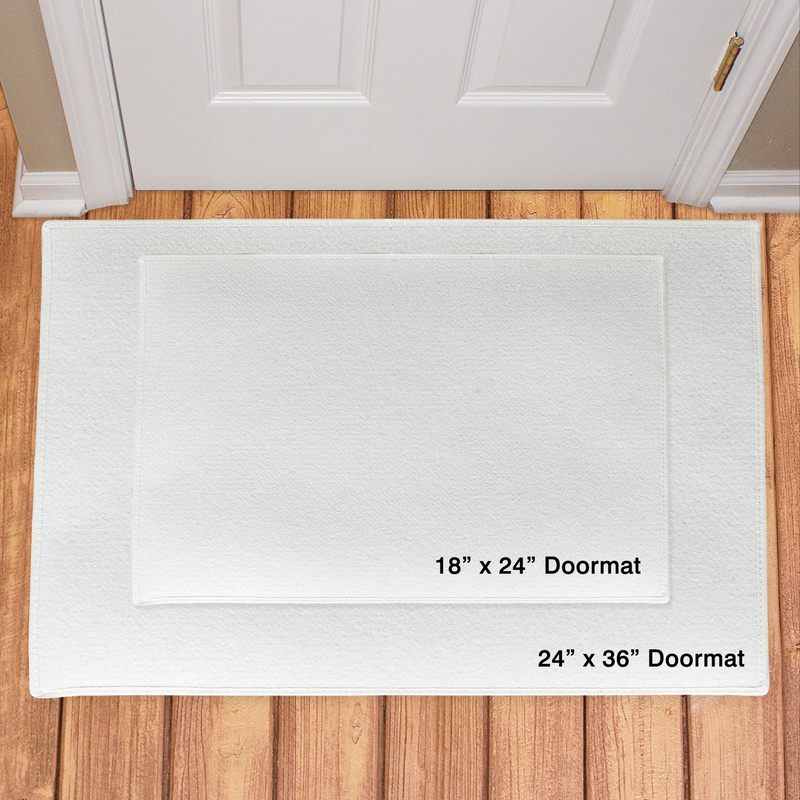 Very nice quality and appearance. Receiver was very happy with the item.